BSUH Library & Knowledge Service (LKS) had previously developed an MS Access database in-house and wanted to re-develop this using web technology, greatly augmenting the functionality and offering the software as a service across the whole of the NHS in England and Wales (approximately 40,000 users). 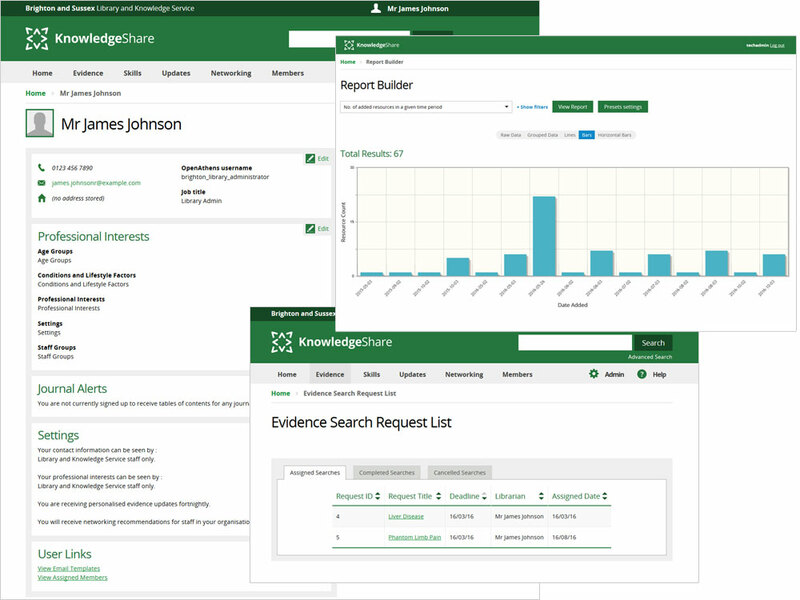 KnowledgeShare is a large software, capable of managing huge amounts of information regarding publications, events, training, CPD and social networking. 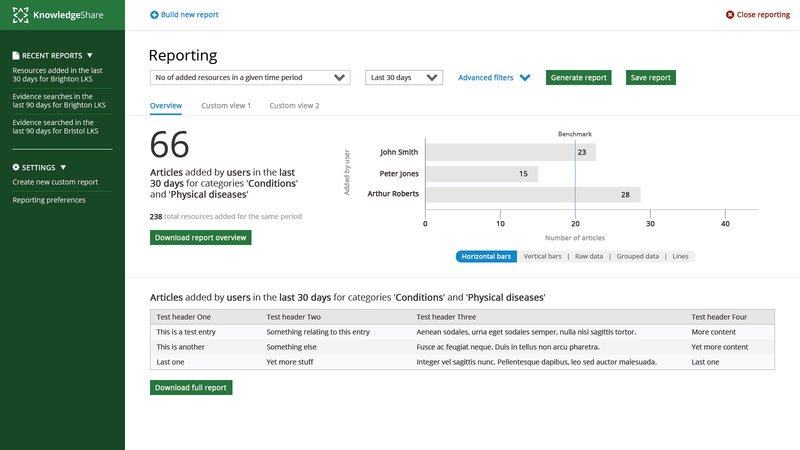 It successfully meets both the business demands of the back office, allowing staff to easily manage workflows and hit targets, as well as the front-end requirements to be accessible (both in the sense of being friendly, and in the sense of being mobile-compatible) and encouraging use by NHS members. Maldaba have a very collaborative way of working, which we really like. Working with them has been an excellent experience. Maldaba have supported us integrating with other companies during the project, working those companies on our behalf. I’ve recommended others work with Maldaba and I would again. The software benefits from our framework’s built-in sophisticated reporting tools as well as online help and glossary (all managed by BSUH administrators who have a large amount of control over the system configuration without requiring input from Maldaba). This means that users can customise which data they wish to report on, and how they wish to receive it (various graphical formats, or tabular format, and which time periods). Both reporting and searching on the system use a mixture of free text, formal filters, Boolean logic and context-specific identification techniques. To speed-up the back-office staff workflow, returning users can immediately see items they have recently worked on, and can either click-through to continue working on those items, or can select to create new (similar) items. We spent a great deal of time collaborating with the client to understand how staff work and ensure that the system provides on-screen alerts, prompts, with intuitive workflows and easy access to data wherever possible to speed-up staff productivity and provide a system that is helpful, understanding users’ requirements. Staff are able to support more customers with more recent information, they are able to electronically disseminate events and news, and LKSs nationally can publish their work and increase their visibility.